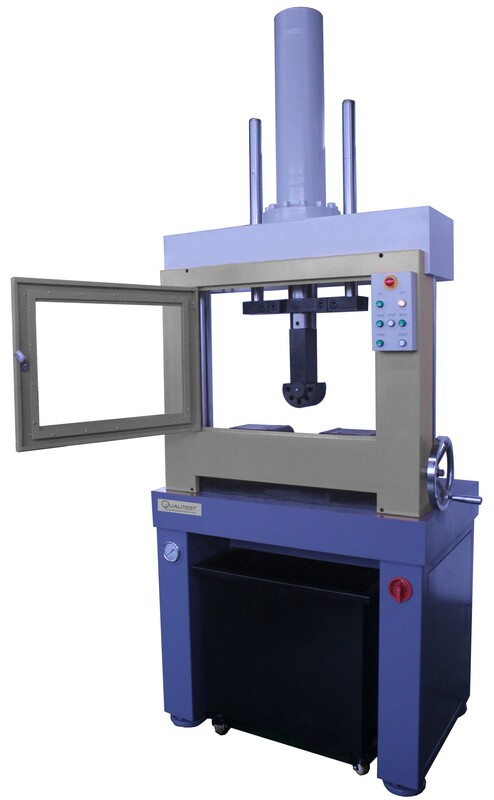 QualiBend II Series Cold Bend Testing Machine is specially designed to test bend-resistance performance of reinforced rolling steel bars, building steel reinforcements and steel plates which completely meet the requirement of ASTM A615/615M, ASTM E290, ISO 7438, API 5L and other international and national specifications. Generally, the deformed and plain carbon steel bars for concrete reinforcement in cut lengths shall withstand being bent around a pin without cracking on the outside radius of the bent portion, this machine is capable to be customized for guided-bend (U bend) test on steel plates/welds. 1. Mandrels (loading nose) upon request.